I have long identified myself as an Army Brat. 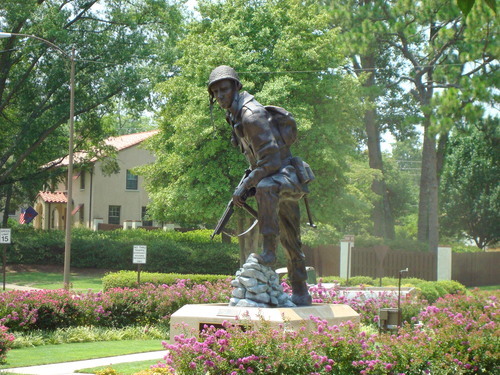 I grew up in an Army town – Fayetteville/Fort Bragg, NC. My father was a paratrooper. I do not like to get involved in political debates- unless , of course, it is the politics of breastfeeding or the politics of NYC public schools – but in the Republican/Democratic scene – there are too many people in my life that fall into the extremes of these two sides whom I love that I just try to remain – in the words of my teenager – Switzerland – neutral. The military has been in the news a lot lately and I have been reflecting on it – maybe also because I have a high school student and we had to sign a waiver to not have her marketed to by the US Government – I wish I had done the same with some of the colleges and these organizations that try to stroke the egos of high-schoolers and their parents about how great they are and how they can give her special certificates and how great the college board will think she is – please send in our check for $450. Anyway, I was thinking about the military and how it has been a positive thing in my life. Remember – I live in the East Village of NYC, my kids go to the Earth School, I help women breastfeed – for years! I wear Dansko sandals. So, thinking back on my life – the Army supported my family, gave us medical care. We had a house to live in. We had food on our table. My parents were both the third of seven children – they married young without education beyond high school. They both grew up very modestly. The Army really kept us afloat. I think back to sixth grade – back in the 1970’s we had the Presidential Fitness Program. We had to do specific fitness tests. I was a confused, hormonal pre-pubescent girl and all these young soldiers came to my Sherwood Park Elementary School to assist the teachers in timing our running, counting our push-ups and lifting us girls to see how long we could hold onto the bar while the boys did chin-ups. Wow! Those soldiers were dreamy. I think back to high school and college when I worked part time at Thalhimers Department Store at the Cross Creek Mall and all the soldiers would come shopping on PayDay. They bought gifts for their wives, girlfriends and mothers. I even dated a couple of Privates. I think of the kids I grew up with without a lot of resources and they joined the Army for three years and then they got to go to school on the GI Bill. I think of John Powell the skinny kid who made some good money every morning before school buying candy at the Little Giant and then reselling it on the play yard for a profit. John was such a wise guy, always on the verge of trouble – just enough charm to get by. He joined the Army for about three years, came back buff, confident but mature. Guys like this benefitted from joining the military. This was post Viet Nam and pre-Afghanistan – I suppose the Army was a safe haven for some kids. A way out of a small town. A way to get an education. I think back to September 11. I remember being at the Earth School having just dropped off my Kindergartener and nursing my baby in the parents room as the Towers went down. I gathered with the other parents as the sky went silent and then the sound of the jets. “What’s happening?” Rosemary asked. “That is the sound of the military protecting us. I grew up hearing that,” I replied. The week following I felt helpless. What could I do? Along East 14th Street there were soldiers stationed along Avenues A, B and C. I baked chocolate chip cookies and brought them to the soldiers who looked so young. One of them reminded me of my cousin Marc who had been in the Army. He had a southern accent and had never been in a big city before. While I am not a fan of the politics of the military I have a soft spot in my heart for soldiers.